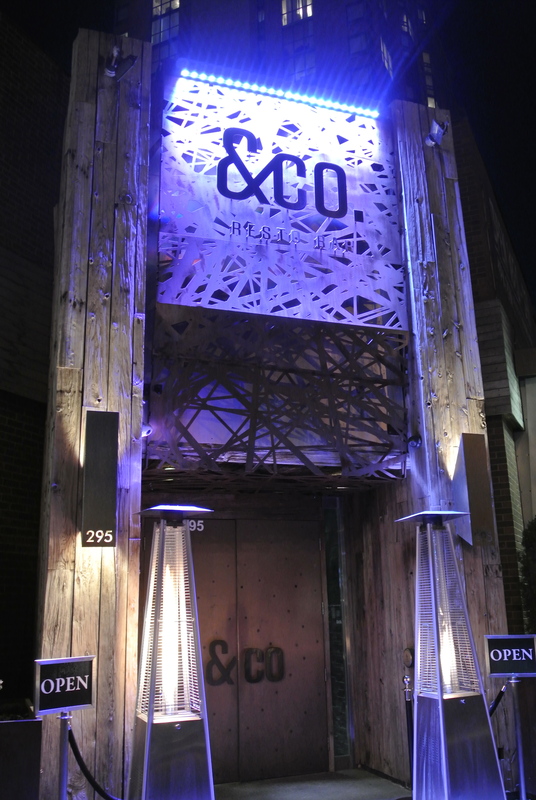 This past Friday, I was invited (this is a sponsored post) to come and try the new recently launched menu at &Co, a resto bar located in Mississauga an area 30 minutes west of Toronto. I’m going to be honest, when I was first asked to attend I had never heard of &Co so I did a bit of online research and although the comments I’ve read were good, I haven’t been a fan of these types of establishments that bring food and nightlife together (think Brant House). To my surprise, the food and even better, the service exceeded my expectations! Y, our server, was great at recommending cocktails and dishes. My favourite dish of the night was the Ontario Vegetable Curry. Typically curries are made with cut veggies and served with rice, what I loved about this was the vegetables were kept whole, like they weren’t cooked with the curry. It was sitting atop a bed of israeli couscous with thai green curry poured over – it was delicious! The idea or theme for the menu is “fine familiar”, taking familiar dishes and elevating it with flavours that aren’t expected. This is definitely evident in the crispy thai calamari, the usual breaded and deep fried squid but then served sitting in a pool of green thai curry; or the salmon wellington, instead of beef and beef jus its made with salmon served with a “teriyaki” jus. 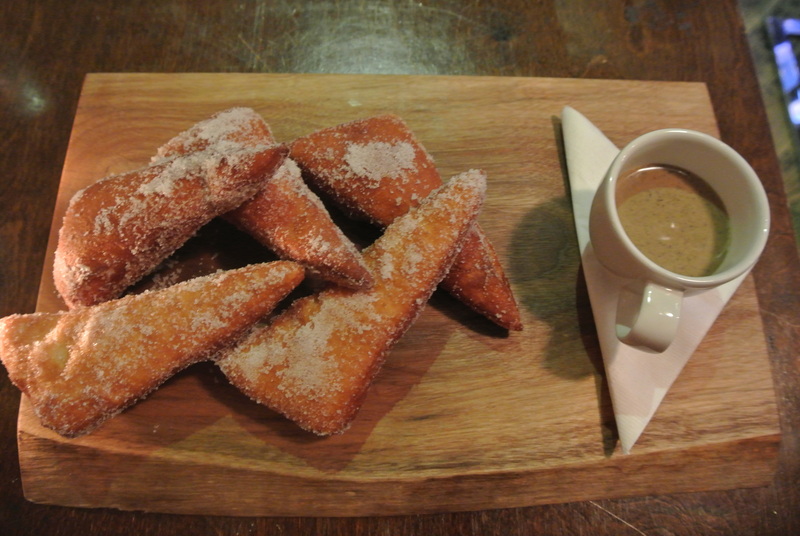 We finished the meal with a plate of beignets to be dipped into a chocolate espresso sauce. All in all, it was a successful revamp of the menu and a great night, and I found out that they are renovating their rooftop patio so I’ll definitely be back in the summer. The entrance to &Company Resto Bar. 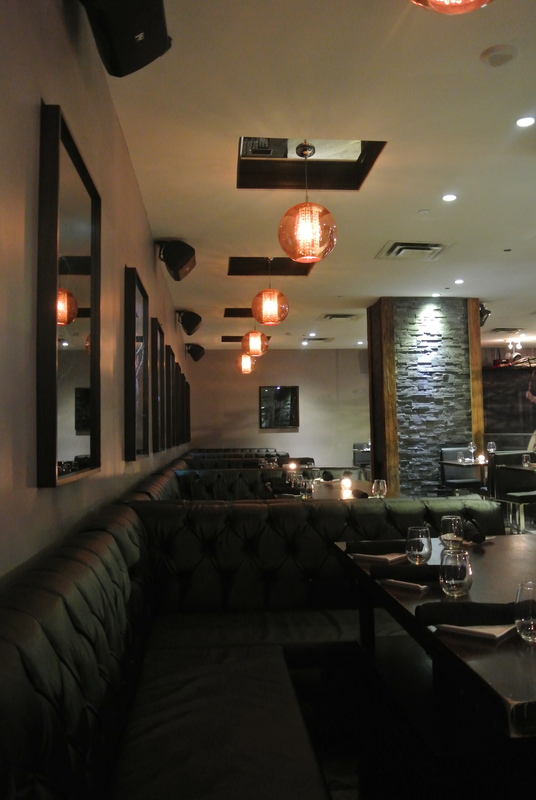 Inside &Co – view of the restaurant and bottle service area. 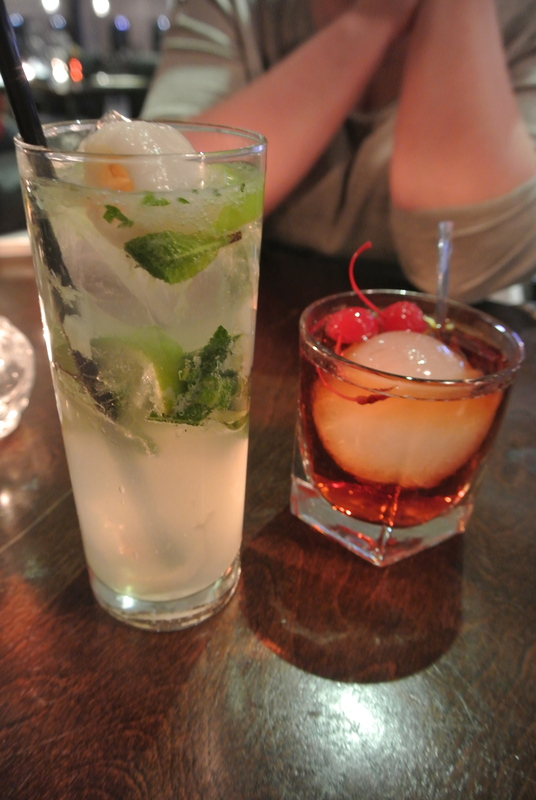 Starting the night with cocktails – the &Co Lychee Martini and Manhattan. 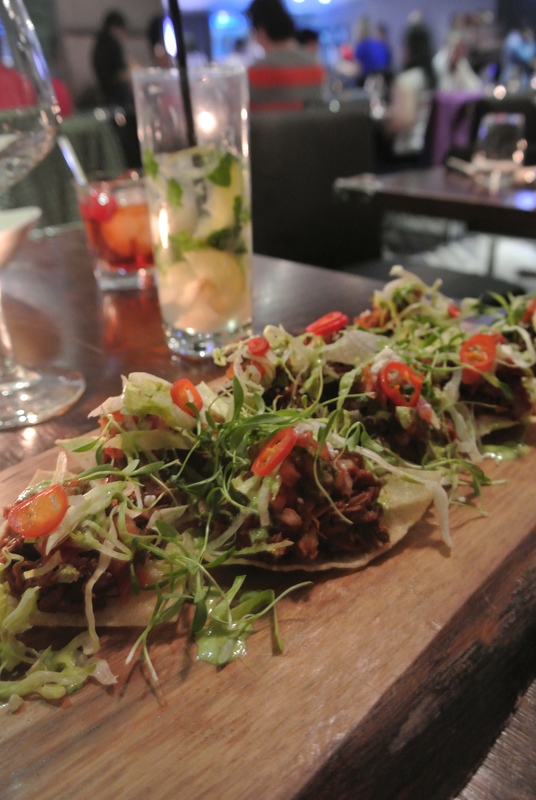 Appetizer 2 – Smoked Pork Nachos. 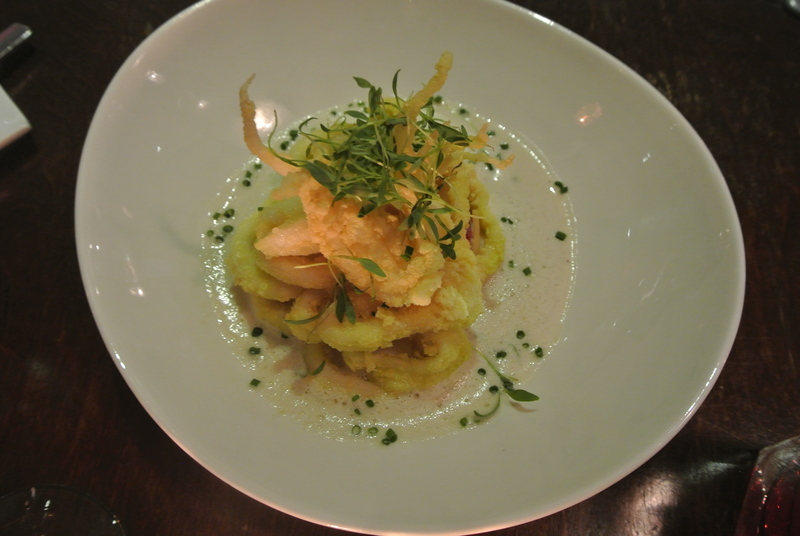 Appetizer 1 – Crispy Thai Calamari. 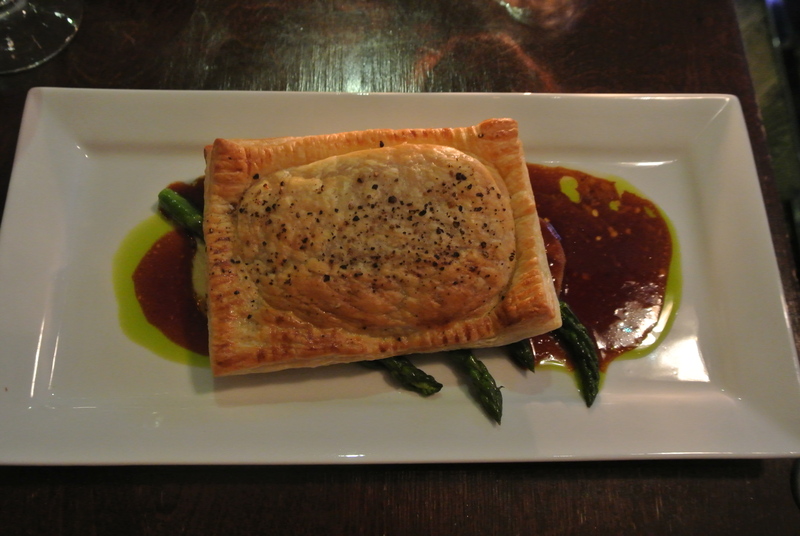 Main course 2 – Salmon Wellington. 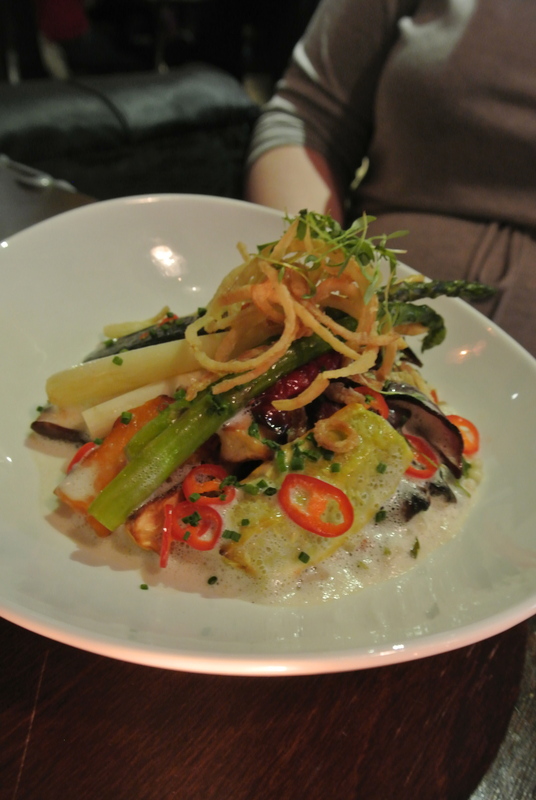 Main course 1 – Ontario Vegetable Curry. 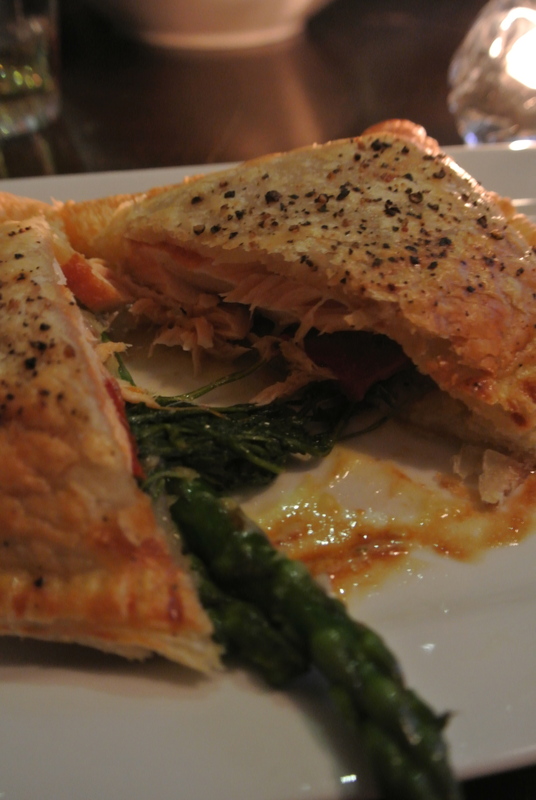 A closer look at the salmon baked inside the puffed pastry. Dessert – Espresso Vanilla Beignets. 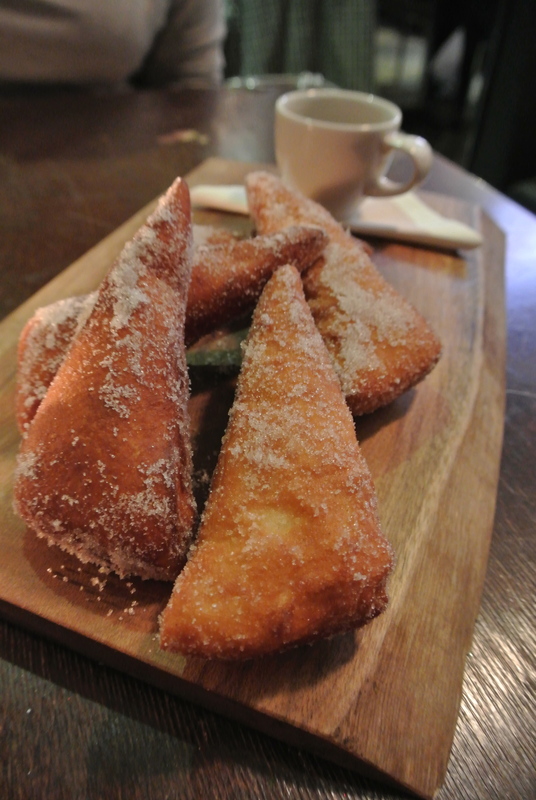 A closer look at the sizeable and fluffy beignets. That vegetable curry was so good, I honestly will drive to sauga just for it. Just INSANELY good. ... Nice pics!! !